What a bummer of a weekend for BassFans. High water forced a complete postponement (and later cancellation) of the Chesapeake Bay Elite event and big winds shortened the Buffalo-based FLW Series tournament to just one 8-hour day. So much for dramatic competition. Now, we�ve touched on this subject before, and my point has never been to criticize the decisions made by tournament officials. As I�ve stated in the past, their jobs are incredibly difficult and, for the safety of everyone involved, their on-site decisions must be considered law. However, what we�re frequently left with are postponed, canceled or shortened events � more so now than ever � resulting in an overall change in competition. Weather-induced adversity is all but being removed from bass tournament fishing, and with it goes an important aspect of the game. Here, I feel it�s important to point out the fairly obvious details pertaining to the recent tournaments: One was postponed due to high water on the country�s largest estuary, while the other was curtailed as a result of rough water on a Great Lake. The obvious question, then, is what do the leagues expect? Scheduling changes affect hundreds, if not thousands, of people, can have detrimental financial impacts on anglers as well as multiple players involved, and entirely change the season-long standings. 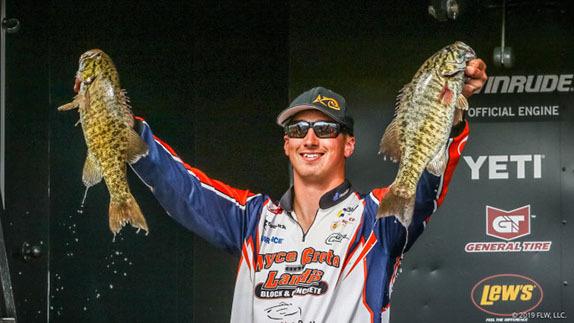 Recent conditions were really nothing out of the ordinary in the Erie event, and only a portion of the tournament waters were drastically affected at the Chesapeake Bay. So again, allowing the on-site officials the ability to do their jobs, perhaps there�s a need to reconsider scheduling in this new age of blue-sky bass tournaments. Should massive river systems and the country�s largest lakes never be considered in the first place? I�m starting to wonder. I quizzed a top contestant about the circumstances at the Buffalo event, and his answer was straightforward. �I think FLW has to remember that this is a Northern Division,� he said. The fishermen, he added, need to consider such when they sign up and take the massive northern fisheries as they come. That�s just part of the game. Again, I can�t overstate that the decision to cancel or postpone for safety reasons is justified. But why, at this point, try it in the first place? Why not schedule northern events on more placid fisheries, where weather is less of a factor, or simply plan ahead to contain the tournament waters to the adjacent river systems if things turn sour? One day does not a tournament make, as they say. And in terms of the Chesapeake event, enough with the �deadly floating log� example. One way to easily curtail such drama is through off-limits areas and, more importantly, speed limits. I�ve never understood why such alternatives never seem to be considered in modern bass tournaments, but rule modifications are indeed feasible and have been put in place in the past. The Chesapeake Bay area was a mess, no doubt. But, sticking with the plan, the Susquehanna River portion of the system was reportedly impacted the worst and could have been eliminated from tournament waters. I, for one, would have liked to have seen how some of the best anglers in the world approached a newly flooded system. I vividly remember such events being the best on Bassmaster TV in years past; back when adversity was allowed to come into play. Now, I know it�s easy for me to play armchair quarterback when it comes to decisions being made thousands of miles away. But my point is not to criticize those decisions, it�s to open the eyes of us all and see that, perhaps, times have changed within the sport. 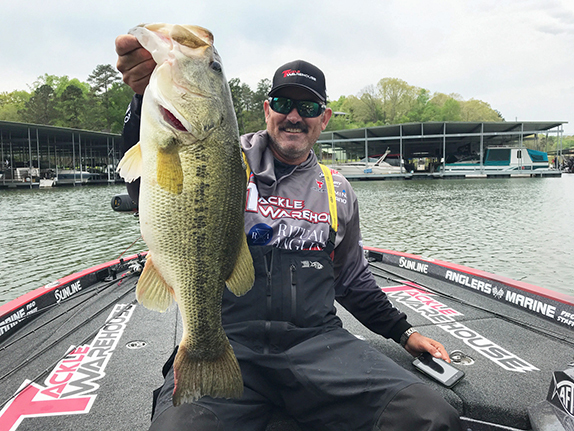 I would certainly consider recent circumstances before signing up to fish the FLW Series, for example, given the idea that they would be held on waters capable of a complete balk. 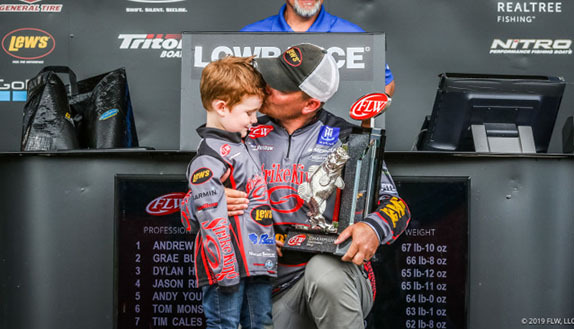 While a champion was indeed crowned at Buffalo, I�m guessing quite a few anglers left stomping mad at not getting a better chance to prove themselves. Many had long, costly drives to think about it. And, I must say, I�m baffled at the decision at the Chesapeake. The inconveniences around a total switch-a-roo, and the tremendous cost to bring anglers from all over the country back at a later date, seems monumental. Believe it or not, some of these guys have other things to do in their time off. Anyway, my often-delayed point is simply noting this shift. Tournaments are scheduled in locales where there�s a good chance they may never occur, or be shortened to the point of being barely noticeable. And it�s become pointless for competitors to practice in multiple areas, in case of bad weather, because there won�t be any. In that case, they�ll simply be practicing their driving.